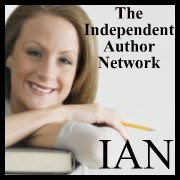 I’m finally catching up to my NetGalley obligations, posting reviews of books I’ve gained access to through my membership. 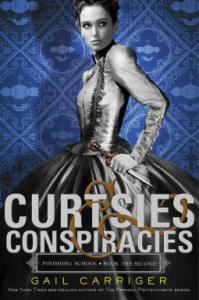 In this case, it’s the second in Gail Carriger’s Finishing School Series, Curtsies & Conspiracies. 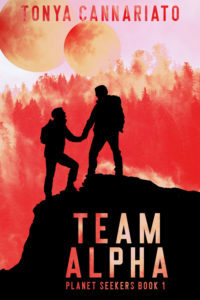 As I mentioned last week, I inhaled both the first and this second book in the series in a sitting, enjoying the near-contiguous hand-off between the two. In book two, Sophronia has started to settle in to Mademoiselle Geraldine’s Finishing Academy for Young Ladies of Quality when the group is warned that its members will face the first of the tests to determine whether the girls are, indeed, worthy to continue. As usual, Sophronia sees conspiracies behind conspiracies, but has to suffer ostracism from her peers for her unusually high marks. Thus, she begins a closer association with non-student Vieve, Mme Lefoux’s niece, as well as the sootie, Soap, who’s been helping her keep Bumbersnoot well-fed. Together, the unlikely trio explore some of the details of the technology at the core of the series. “Yes, but this is floating. Floating! Using aether currents. The possibilities are endless. It’s so exciting!” Vieve bounced up and down on Sophronia’s bed. The young inventor had stopped by for a visit after breakfast. Sophronia had no idea where the scamp ate, but clearly it was within hearing distance of the assembly. The expanding circle of incongruous names (Lord Dingleproops?! Felix Golborne, Viscount Mersey?? Professor Shrimpdittle! Picklemen, for crying out loud!) accounts for a reliable thread of laughter on its own, without considering the string of ridiculous circumstances Sophronia injects herself into. So while the author defined the Parasol Protectorate series as a comedy of manners, this series is shaping up to take the ridiculous deeper into the sublime. I very much appreciate the association of the very fine points of etiquette with profound silliness, since it serves to underline the constraints under which people have chosen to operate while also illustrating that from another perspective, even constraints can serve a purpose and bring greater meaning to any given set of interactions. So once again I will highly recommend a Carriger book for those looking for immersive, addictive escapism to a world that, while in some ways is staid and antiquated, also has interesting parallels to ours. The steampunk crossover with paranormal should appeal to a wide audience, even with such a young protagonist.